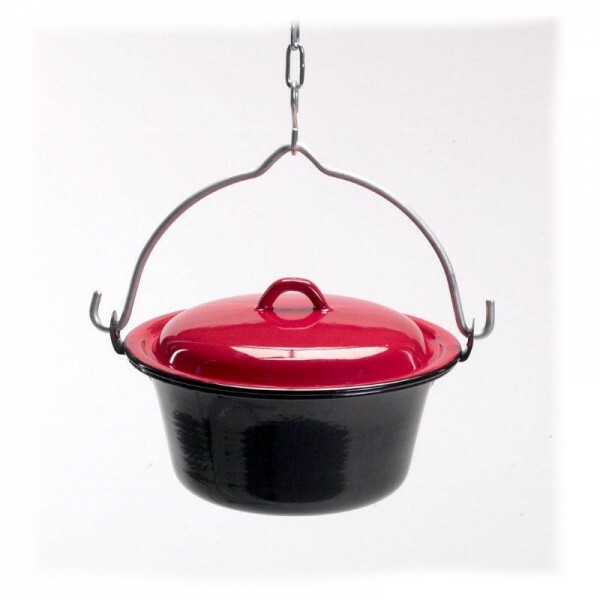 An elegant black and red enamel stew pot with lid, which can be used either with a stove or hung over an open fire. It is made for use with a tripod (sold separately). It is ideal for cooking stews and soups. The metal handle folds for easy storage. Now £43.00 Qty: 4 In-stock.